Sony reported a 77% decrease in operating profit for the quarter that ended in June, a result far below analysts’ expectations. Operating profit for the period fell to ¥6.28 billion, or $80 million. Analysts had expected a 36% decrease. Sony reduced its forecast for operating profit in the current financial year to ¥130 billion, from a previous forecast of ¥180 billion. Analysts forecast annual operating profit of ¥139 billion. The euro zone debt crisis is reducing global demand for consumer electronics and eroding the profitability of Sony products. 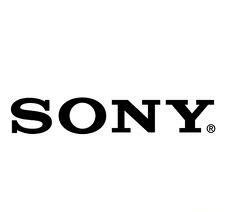 Sony posted an operating loss of ¥67 billion and a net loss of ¥455 billion for the financial year that ended March 31. Sony’s European sales account for 20% of all revenue. The decreasing value of the euro harms all Japanese companies that sell goods or services in Europe. Sony is more sensitive to yen swings against the currency than its local competitors. A ¥1 gain in the exchange rate against the euro cuts ¥6 billion off Sony’s operating profit. During the financial first quarter, the euro was at ¥102.9 yen. The euro since has eroded to about ¥95, its lowest value in more than a decade. Sony is the maker of the widely popular Walkman music player and PlayStation game console, however, years of competition from foreign rivals has reversed its dominance in the consumer electronics market. Sony has been attempting to increase its appeal to consumers while facing strong competition from companies like Apple, Samsung Electronics, and Microsoft. Chief Executive Kazuo Hirai has vowed to revive the fortunes of the company and outlined a revival plan that stakes Sony’s future on mobile devices, games, and digital imaging while developing new businesses.